Text Cannot be used as a Synchro Material. 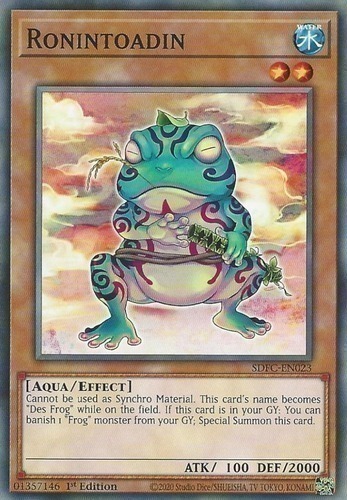 This card's name becomes "Des Frog" while it is on the field. If this card is in your Graveyard: You can banish 1 "Frog" monster from your Graveyard; Special Summon this card.